We are expanding rapidly, so keep an eye out here for updates, or view our directory page to see a parent category list of pages completed to date. (2,500+ pages and growing quickly). Help us keep our website 'free to use' for everyone. We rely on income from our advertisers. Please 'whitelist' this site in your adblocker program. If you prefer not to see ads, would you consider letting people know we are here instead? 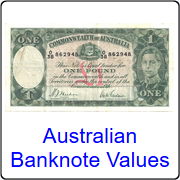 Wondering what that old coin or banknote might be worth? 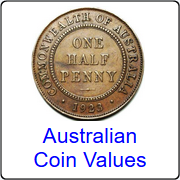 The aim of AllCoinValues.com is to provide estimated values, images, and relevant information on collectible coins and banknotes from around the world, in one easy to navigate, free to use website. 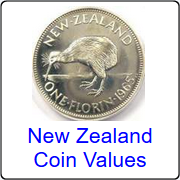 allow quick cross reference between similar coins and banknotes. on condition, date, composition, relative scarcity, and demand. 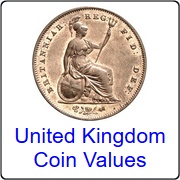 dealer, privately to a collector, or online through an auction website, or similar. preservation demand significantly higher prices. 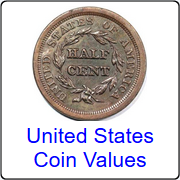 Condition, particularly, is very significant to collectors, thus key to value. 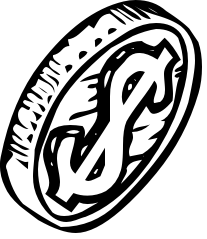 prices to be accurate, nor take any responsibility for how you use the information provided. Our site is maintained by funds from our sponsors and advertisers. Some of these advertisers may place cookies on your browser to track your browsing habits. Found the information on our site useful? Let people know we're here by linking us on your posts, listings, and websites.